There are thousands of websites, and 800# services out there that never handle the cars. They take your information, give you a quote (usually lower than your vehicle is worth) and then sell the hot lead to a service actually located in your area like us (We are based in Hyde Park). The lower estimate they give you ensures that the business can afford to both pay you cash, and pay the service, while still making a profit margin. This is why you should cut out the middleman. Rule of Thumb: If the number you dial is an 800 # you will probably get less cash for your car. 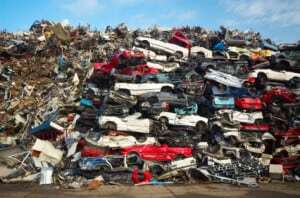 Junking a car yourself requires time, energy, tools, labor, storage, and distribution channels. What this means is…yes, you could get more money than we might pay you for your vehicle. But, in order to do so you need to disassemble it, find an outlet to recycle the scrap metal, find outlets and buyers for any valuable parts, and hold the inventory. All things considered, the time it takes to deconstruct the vehicle alone would put most junk car owners into the red. Instead, call us at 617-719-6436 to take care of everything for you right away. If we didn’t give the fairest prices, it is easy for any of our customers to turn to what is an abundance of competitors. Our operation is lean and focuses ONLY on junking cars which means we have very little overhead. This means we can afford to pay you what you deserve.